GALA Choruses welcomes delegates of all ages at its events within the following parameters. Youth under the age of majority where the event is taking place (e.g. age 18 if the event is held in the United States) must supply proof of emancipation or parental permission. Non-emancipated minors must be under the supervision of an adult chaperone, who is at least 22 years of age. GALA Choruses shall communicate other policies related to youth as required by local, state/provincial, or national jurisdictions where events are produced. GALA Choruses has a legal duty to take any action that may be reasonably necessary to insure the safety and welfare of minors participating in GALA Choruses events. In furtherance of that duty, GALA Choruses reserves the right to suspend or terminate the participation of any minor's chaperone and/or a chaperoned minor when doing so would, in the opinion of GALA Choruses management, be in the minor's best interest. 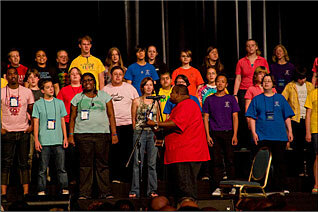 GALA Choruses pledges to provide a safe environment for youth at its events. GALA Choruses recognizes that youth may look to adult delegates as role models and therefore urges all adults to behave appropriately whenever youth are welcomed. 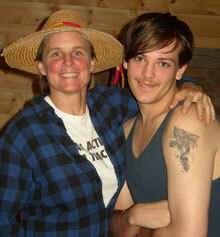 GALA Choruses supports the inclusion of youth in the international lesbian, gay, bisexual, and trans* movement. For the purposes of this policy, "delegate" is defined as an individual who registers for a GALA Choruses meeting, conference, or festival. This does not include individuals who may attend ticketed events (e.g. concerts) associated with GALA Choruses meetings, conferences, or festivals, but do not register as full delegates. We’d love to hear from you. Send us a note.